Kerri is a lifelong music and dance lover and studied piano from the age of 8, dance from the age of 12. 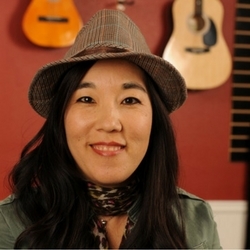 As a former journalist and magazine editor, she was able to combine her passion for music with writing, interviewing and writing articles on numerous rock, jazz and world music artists. Kerri is responsible for all business operations for Jammin’ Music, and most importantly, keeping customers happy and satisfied! 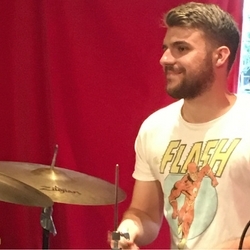 Nick Diamantides is a percussionist who started playing at the age of 12. He has a Bachelor’s Degree in Music with an emphasis in percussion from the University of California, Santa Barbara, where he performed with the Jazz Ensemble, Orchestra, Wind Ensemble, and Percussion Ensemble. For the past 5 years, he’s performed in a wide variety of musical settings, from the Santa Barbara Youth Symphony to pit orchestras for musical theater, and performing percussion for church choirs. Nick is currently working on his Master’s degree in Percussion Performance at California State University, Long Beach.